Jasmine and her host family celebrating the holidays together. 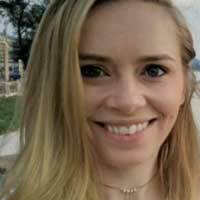 Meet au pair Jasmine from the United Kingdom! 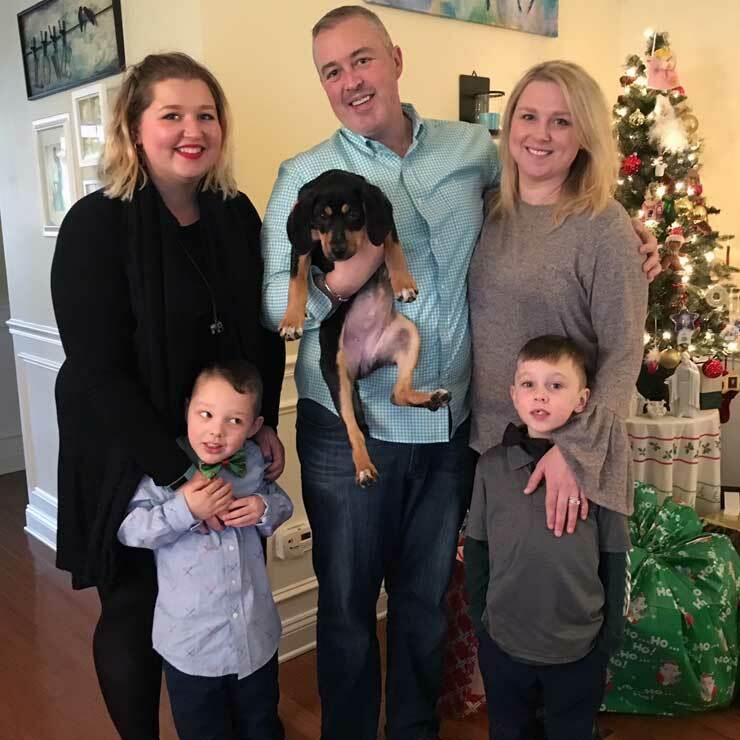 Jasmine spent her first year as an au pair with the Bryan family in New Jersey and will spend her second year in Chicago with a second host family. 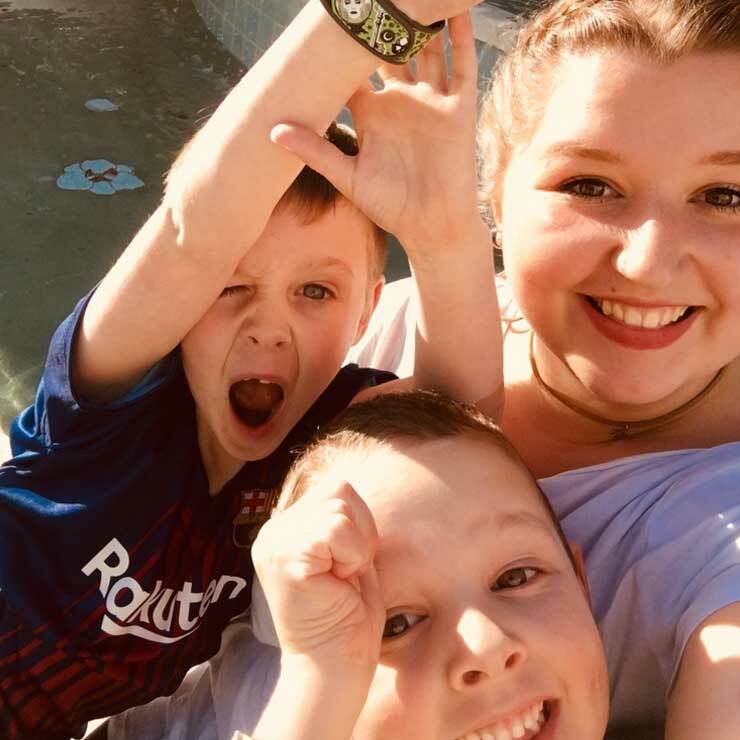 Au pair Jasmine is loving her time with InterExchange Au Pair USA and tells us about her journey below. I became an au pair because I wanted to gain more experience working with children. I love working with children, and I am hoping to become a teacher when I return to the United Kingdom. I found that becoming an au pair was a perfect experience for me, as it made me realize that I really wanted to continue working with kids. I also loved the idea of traveling abroad to work with an amazing family and to experience a different way of living. However, at the time I had no idea that I would end up with such a lovely family. Tell us about your relationship with your host family. I believe that I have a very good relationship with my host family. From the very start, we have always got along. I feel as though I have an amazing bond with them, and I hope to keep in contact with them. Funnily enough, my host family and I found out that we had family living in the same towns in both Illinois and Ireland! Throughout the year we have had several mishaps, including a flooded basement! However, we have always made the most of every situation and have powered through as a great team. Jasmine and her host kids. Alongside the flooded basement, we have proceeded to excel at the cultural exchange aspect of the au pair experience. Last April my parents and youngest brother came and visited the USA. We had a fantastic week with both my host family and my family. Since then my host family has met my family whilst visiting Ireland and have kept in contact with them. What's your favorite part of being an au pair? I absolutely love being an au pair because of the amazing rapport that I have built with my host family and with other au pairs. I have met some of the most brilliant people this year, and I couldn’t ever replace the friendships that I have made. I think being an au pair offers you a different view on life as you live with a family and experience their way of living, and I think it makes you more understanding and grateful. I have also completely loved the ability to explore the United States. 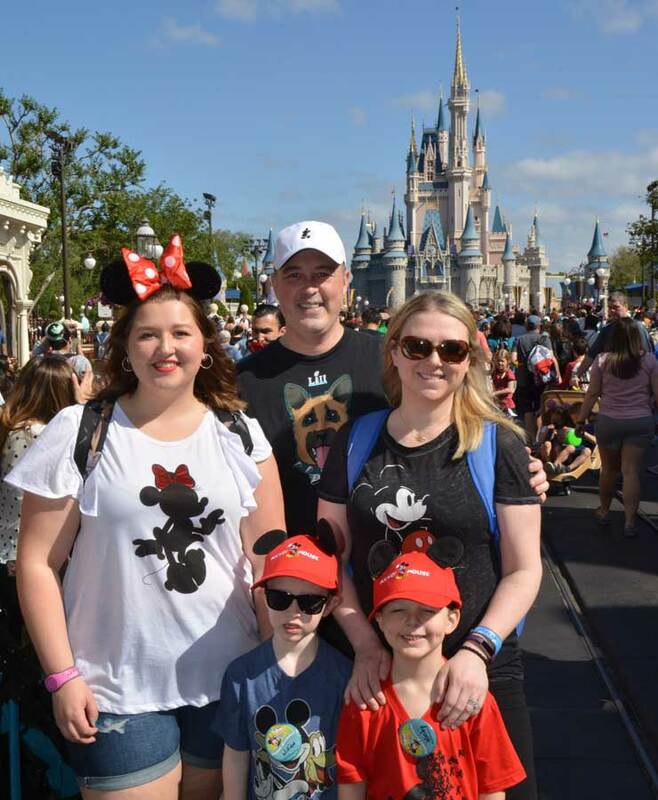 The Bryan family and Jasmine went to Disney! What advice do you have for other au pairs? The advice I would pass on to other au pairs would be to relax and make the most out of every day. Being an au pair can be amazing and you are in charge of making it the best experience for you. Another piece of advice I would give to other au pairs is that there is such a large community of au pairs, especially in the United States, and if you feel as though you’re alone, you’re not. There are hundreds of au pairs near you, maybe not right next door but close by. You can always find someone to become friends with and they are there to help you and for you to help them. I absolutely love how au pairs help one another because we all know how it feels to move to another country, to become part of a brilliant family, and to have to try and make friends. Thank you, Jasmine, for sharing with us and for your great advice to other au pairs.